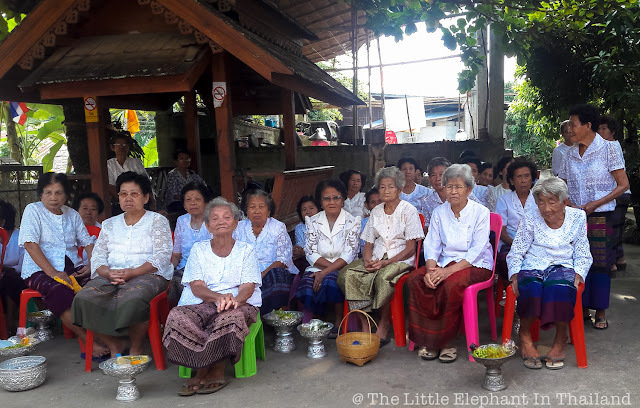 A few months ago my wife was asked to join in at a tamboen making at the local temple in our village. That means together we a friend she would raise money to offer to the temple. 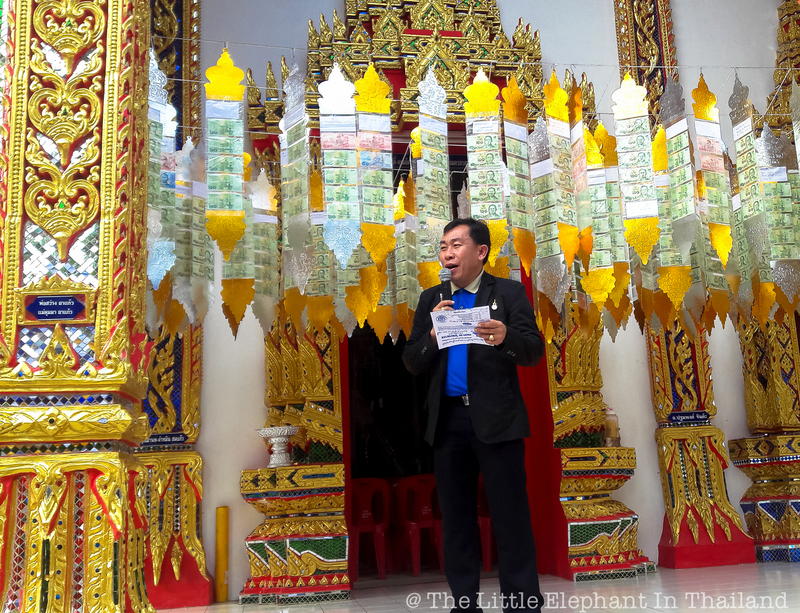 My wife received a bundle of envelopes from the temple with a letter with all people participating in the tamboen. And my wife would ask friends to give a little bit money and of course we did give some money. 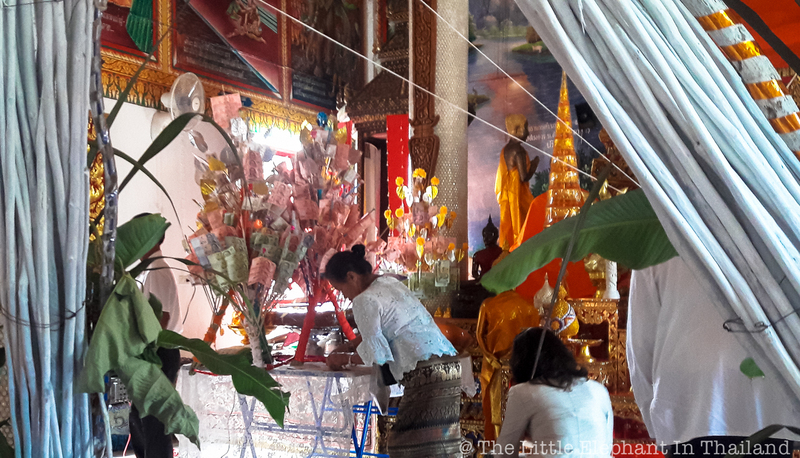 All this money is used by the temple for the education of the novice monks. 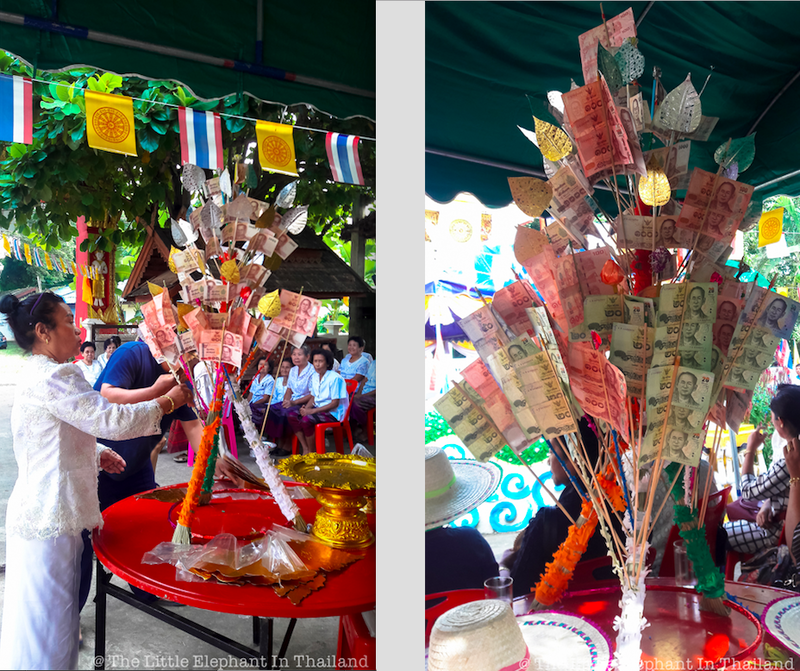 And who says money does not grow on trees should once go to a temple tamboen. The collected money is put in small trees and like that offered to the temple. 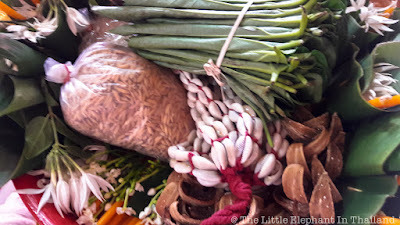 It is a big party and early the morning the preparations at the temple are beginning. Besides food that is offered to the monks there also will be food for lunch for all people at the temple that day. So all people in the village come together and help. And the village head speaks about all the good things that will be done for the village and of course mentions the names of the people who started this tamboen. Always fun because my wife always has to explain how to speak my name. Following are some photos of the tamboen at our village.